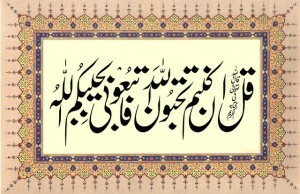 ‘People ask me to tell them something to perform and recite (wazifa/wadhifa). I tell them do not tell lie, talk behind another’s back (ghibah) and be angry. They do not consider this to be a wazifa. This entry was posted in A. Reality of Tasawwuf, C. Blame worthy Morals, D. Acts of Worship, N. Advice, T. Tarbiyet, W. Wird & wazaif on October 10, 2010 by 'abd.